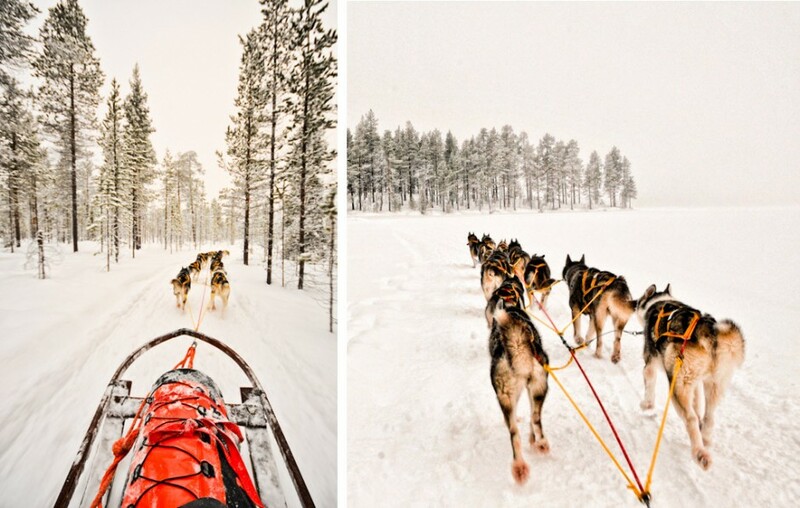 MatadorU photo instructor Lola (Akinmade) Åkerström brings back some incredible shots from Sweden’s north. WHILE VISITING THE 406-year old Sámi market in Jokkmokk, I got to tag along with Matti & Stina and their 38 Siberian huskies across frozen Lake Skabram. As we raced along at full speed, oftentimes a dog or two needed to poop while in motion. Each time one “went,” it did a quick over-the-shoulder glance back to make sure we — its passengers — weren’t hit by flying poo. I had no idea Siberian huskies were that courteous. 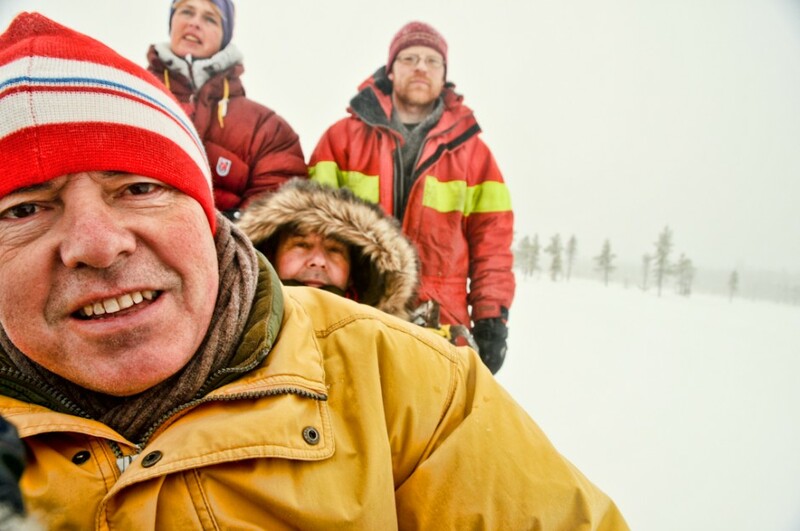 Originally from Jämtland in central Sweden, Matti Holmgren moved north to Jokkmokk to study ecology, and his passion for the outdoors has kept him in Swedish Lapland over the last 20 years. Stina Svensson is from Skåne (the southernmost part of Sweden) and moved up to join Matti in 2004 after successfully dating him online. 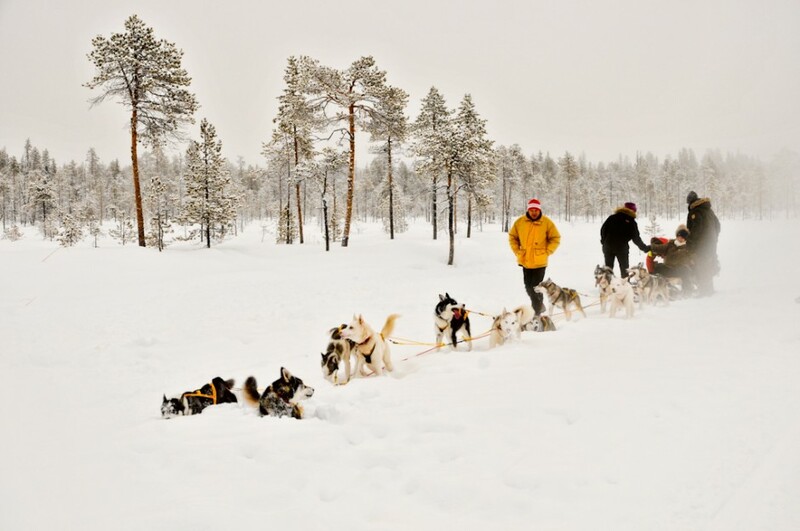 The couple now lives year round in Jokkmokk, and they make their living running Jokkmokkguiderna with 38 pure-breed Siberian huskies and two pet border collies. Matti greets one of the huskies while Stina straps on their harnesses in the dog kennel. 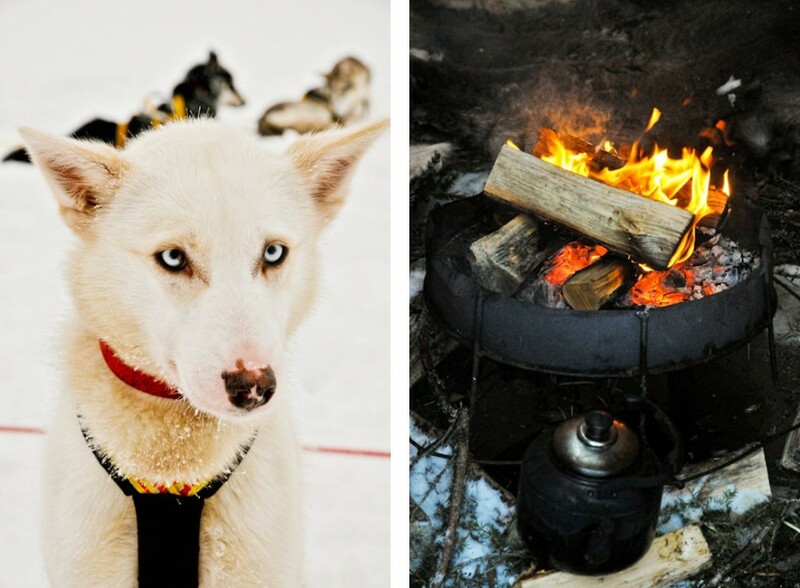 Preparing for an expedition and all the logistics around it remains one of the most time-consuming parts of dog sledding, but according to Matti, "everything else around the dogs - training, care, and play - is the fun part." Stina checks the paws of the dogs for sores and cuts, and applies organic salves to help heal any wounds. The dogs gearing up for our half-day expedition across Lake Skabram. Matti and Stina start training the dogs when they're roughly 6 months old, running them 3km a day to get them used to the distance and to help build their endurance. Now they run several dozen kilometers per day. 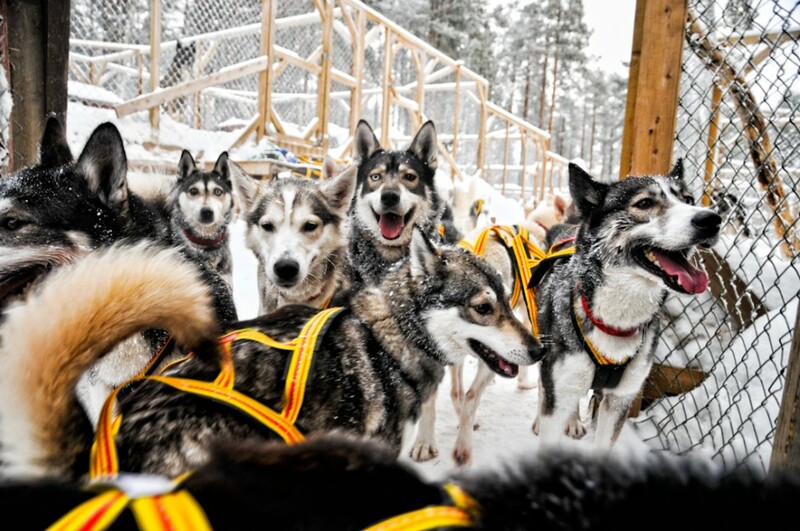 Top race dogs can run as far as 220-250km in 24 hours. 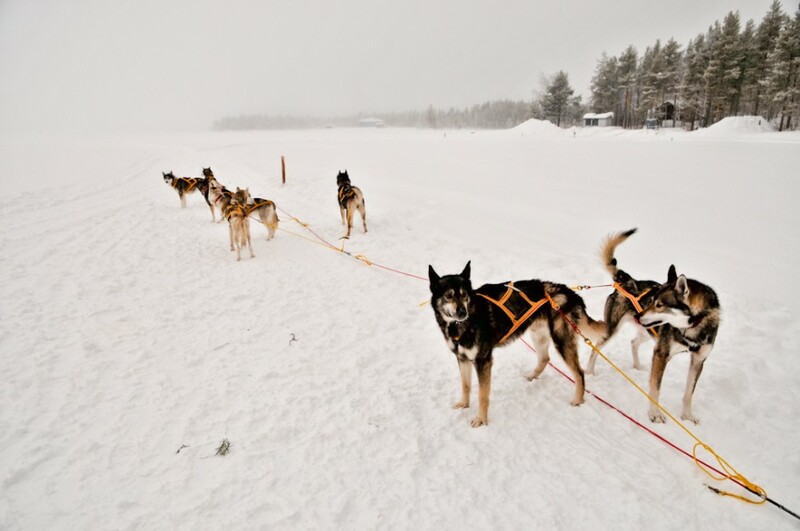 The couple mostly raises working dogs which they use for expeditions, tours, and a few long-distance races. In addition to sledding across frozen Lake Skabram, we also veered through narrow trails where we spotted herds of wild reindeer crossing. 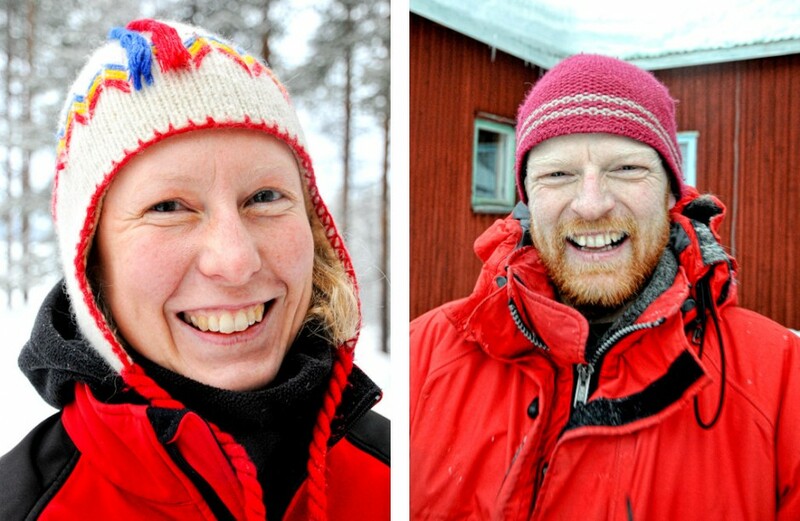 Portraits of some of my sledding partners - two couples from the Netherlands who were also in Lapland attending the market and enjoying some outdoor winter activities. Making a quick pit-stop to make sure sleds are well secured, the ice isn't too thin to cross, and that the snow isn't too deep for the huskies. 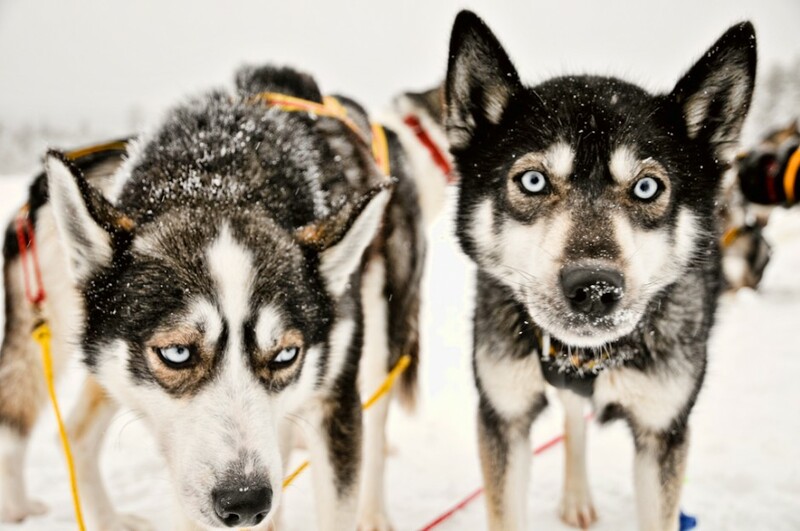 The pure-breed huskies range in appearance from snow-white pups to black-gray-white classic dogs. Halfway through, we stopped to set up a fire and roast some korv (sausage) and bacon slices over an open flame. Their dogs range in age from 6 months to 9 years with the oldest dogs they currently run being Hilda and Haldor (both 9 years old). Before them, the oldest was 12-year-old Frikta, who was having some back problems and had to be pulled from the herd to recuperate. 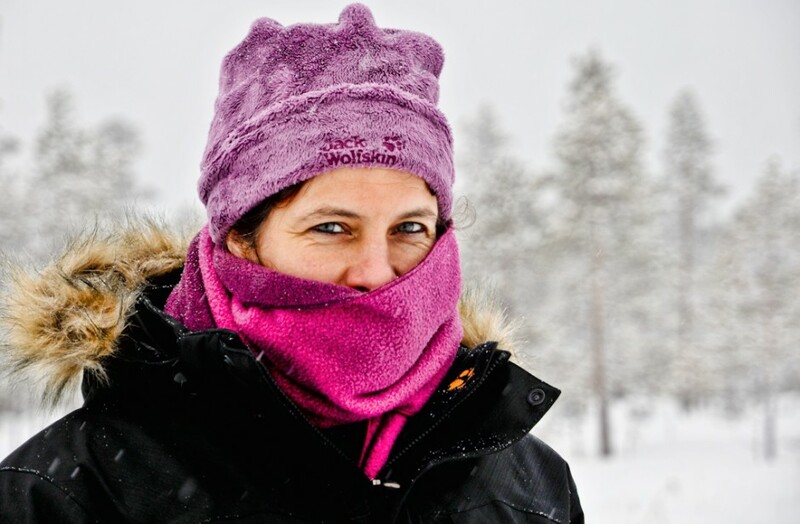 On the day we went dog sledding, we were faced with subarctic temperatures in double-digits below zero. Typical for early February in Swedish Lapland. 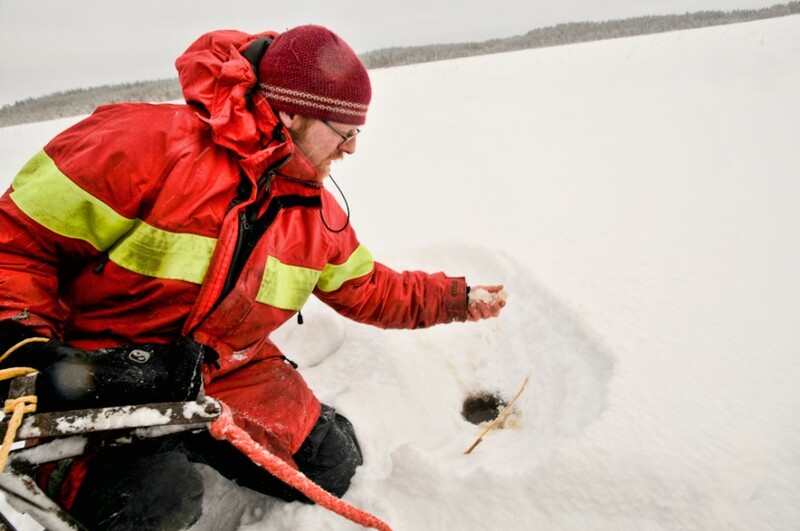 Matti pokes a hole through the snow to assess the ice conditions of the lake before we press on. Beneath the snow, there's usually a thin layer of unfrozen water sitting atop the lake itself, which is frozen solid. Finally back at the kennel, the dogs are left to run loose a bit to release any leftover energy. 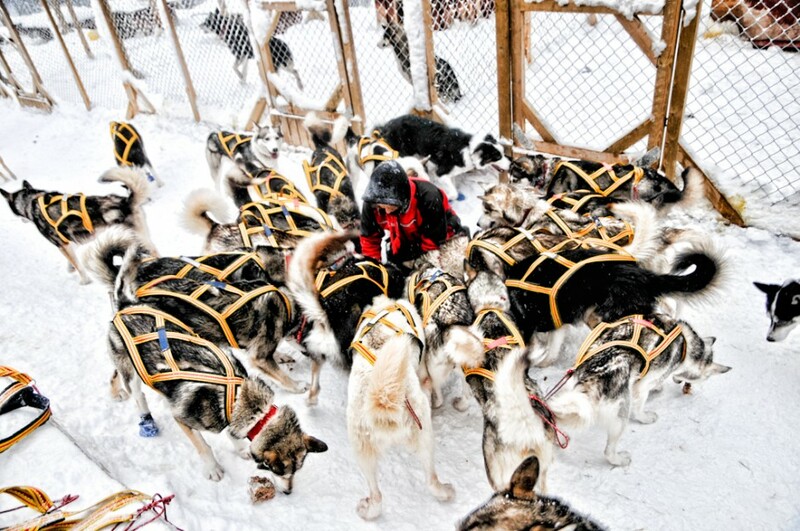 Thirty-eight huskies swarm around Stina as she pours out a re-energizing snack for them to chow down on after our expedition. Portrait of the couple. Stina (left) and Matti. Matti started training his first dog in 1984. He founded Jokkmokkguiderna in 1995, and after meeting Stina online, she's been with his company (now theirs) alongside him for the last 6 years. 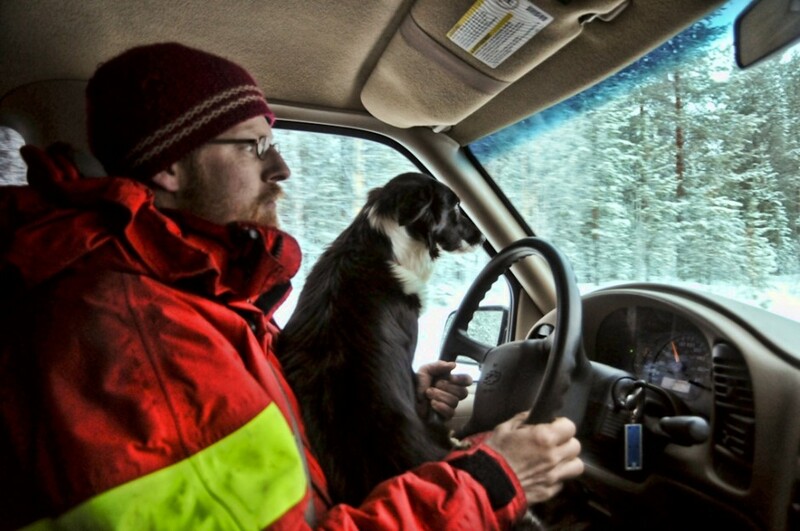 Matti gives me a ride back to the town of Jokkmokk with one of their pet border collies along for the ride.